Rosemary is an evergreen herb, commonly used in meat and poultry dishes as well as in bread, and while it is most widely known as a spice and may be purchased as a supplement, it may also be made into a tea. Rosemary tea has a number of purported health benefits, including issues affecting the intestines, skin and brain. Rosemary may also have side effects and drug interactions. Consult a health care professional before using any herbal supplement, including rosemary tea. Rosemary has demonstrated antispasmodic properties, which may make it beneficial for the treatment of gastrointestinal disorders. The University of Maryland Medical Center states that rosemary has been approved by the German Commission E for the treatment of dyspepsia, or indigestion. The use of rosemary has also been investigated for the treatment of irritable bowel syndrome due to its antispasmodic activity. Rosemary supplements or tea should not be taken continuously for medicinal purposes and should be avoided by women with menstrual difficulties and by those who are pregnant because it may stimulate the uterus. 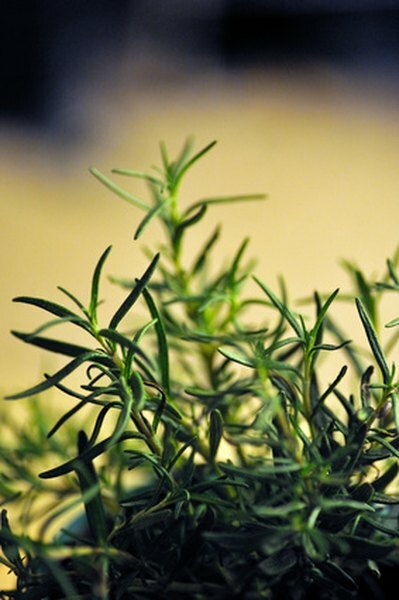 Rosemary is also believed to have antioxidant and antiseptic properties. Nutritional consultant Phyllis A. Balch, author of the book “Prescription for Herbal Healing” recommends the use of rosemary tea as a topical treatment for eczema and other skin rashes. It may also help to treat fungal infections such as yeast when applied to the skin. In addition to antioxidants and other phytochemicals, rosemary contains camphor, which may have some benefit in the relief of sore muscles when applied topically or when added to the bath. Rosemary has demonstrated some ability to prevent the breakdown of acetylcholine, an important neurotransmitter in the brain. Patients with Alzheimer’s disease, who have lower levels of acetylcholine, may benefit from rosemary tea due its purported ability to improve circulation in the brain, making the use of rosemary tea or supplements a possible treatment. In addition to its use as a supplement or tea, rosemary oil has been used as an aromatherapy treatment to reduce anxiety, but do not take rosemary oil internally. “Prescription for Herbal Healing” states that rosemary, taken as a supplement or tea, may inhibit carcinogens from binding to bronchial and liver cells. Its antioxidant protective activity may also extend to other organs as well. Though animal and laboratory studies have supported this use, no well-controlled studies have been performed on human patients. As with any suspicion of cancer, medical advice should be sought before beginning herbal treatment with rosemary.